Due to the poor road conditions, our 3-6pm session has been cancelled. Sorry for any inconvenience. 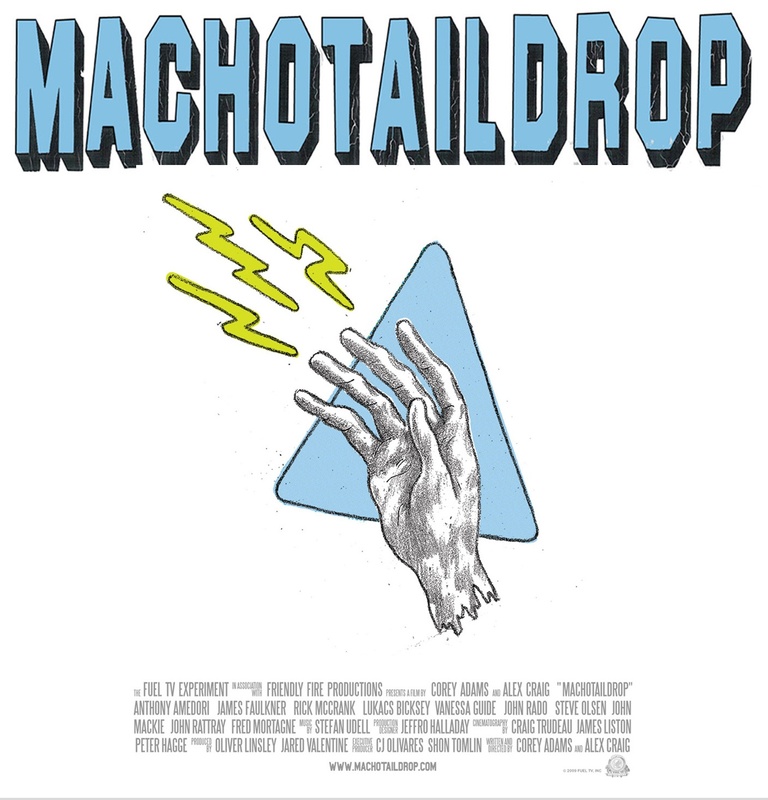 Join us for a free screening of Machotaildrop, starring Rick McCrank and John Rattray, on Saturday, February 27th at the Launch Center! Film starts at 6:30pm. All ages are welcome. We will be skating the indoor park after until 10pm. 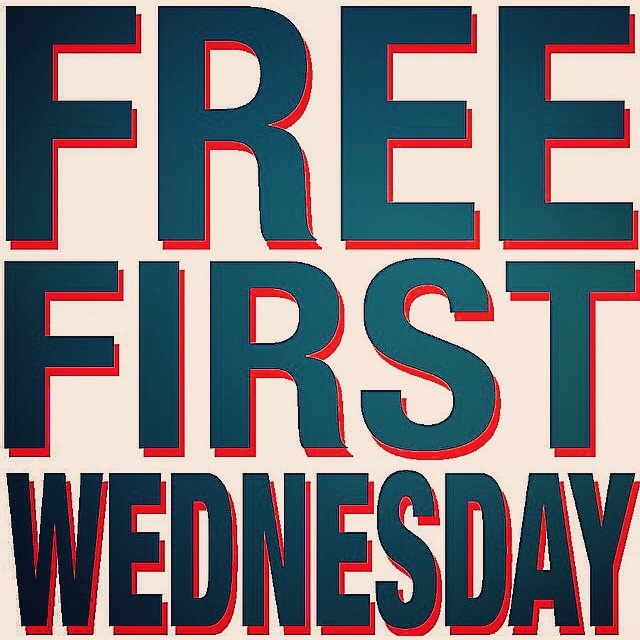 Today’s free session has been changed from 4-7pm to 5-8pm. See you there! BECOME A SUPPORTING MEMBER OF LAUNCH!! Launch is hosting our End-of-the-Year Fund Drive and we need your support! HELP US REACH OUR GOAL OF $6000 BY 12/31/14!! *Support the philosophy that skateboarding is a powerful creative outlet. *New levels of membership available with new incentives for supporting members. TO PURCHASE YOUR MEMBERSHIP, GO TO THE MEMBERSHIP PAGE FOR FULL DETAILS ABOUT MEMBER LEVELS AND INCENTIVES. 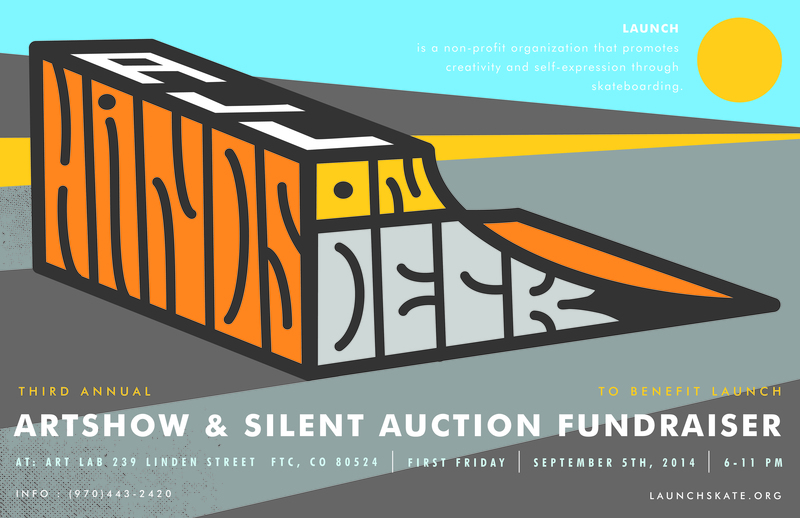 Please join us for this one-night silent auction artshow featuring custom designed skateboard decks, original artwork and photography. This years lineup of contributors includes over 40 local artists and 30 national artists. All money raised at this event goes to assisting Launch with our programming and continuing our mission of promoting skateboarding as a creative outlet. For a full list of artists involved in this years show, go to the AHOD page. Pick up a copy of the latest issue of Fort Collins Magazine to read a great article about Launch. Or visit the digital edition starting on page 36.